Wall Street ended in the negative on Monday as investors digested mixed results from the latest batch of bank earnings. Goldman Sachs reported better than expected earnings, however its shares fell 3.8% due to first quarter numbers showing net profits fell by 21% YoY. Citigroup earnings also beat expectations, although saw a 2% fall in overall revenue. The S&P 500 slipped 0.1% to 2,905.58 after having three consecutive weeks of gains. The Dow Jones ended the day down 27 points at 26,384.77. Asian markets traded just below 9-month highs after bank earnings dented U.S. indices. China's CSI 300 ended down 0.3%, whilst the Nikkei added 0.2% and Australian stocks gained 0.5%. Analysts from J.P. Morgan suggests that we may have seen the best returns from Asian stocks already this year, and that share prices in the region may struggle to grow much more. In the currency market, the Australian dollar fell 0.4% to $0.7146 after minutes from a policy meeting indicated that the central bank may cut interest rates if inflation stays low. The dollar basket was steady at 96.980. Oil prices halted its recent rally on the prospect that Russia and OPEC are boosting production to contend for market share with the U.S. Brent crude was down 0.4% to $71.29 a barrel and WTI shed 0.6% to $63.53. Spot gold traded slightly lower at $1,286.21 an ounce, heading for its fourth day of losses. Asian overnight: Asian markets looked to continue the rally despite a disappointing session in the US, where Goldman earnings and concerns over trade wars conspired to hold back equities. Overnight the RBA shifted towards a dovish tone, noting that a rate cut could become 'appropriate' if inflation failed to rise and unemployment rose. Investors will be awaiting Chinese GDP data due out on Wednesday for clues on the health of the country's economy and as an indication point for global growth. UK, US and Europe: UK employment data will keep sterling in focus today, especially with Brexit news quiet thansk to the parliamentary recess. Other data of note include German ZEW and earnings from Netflix, Bank of America and IBM. South Africa: US Index Futures and Asian equity markets are pointing to a positive start for the Jse Allshare Index. FOMC member Charles Evans continued the dovish (less hawkish) tone of the US federal Reserve, suggesting that rates in the world's largest economy could stay on hold until late into 2020. Commodity prices trade tentatively as trade negotiations between China and the US progress and trade talks between the US and Europe commence. The rand has given up some ground trading back above the R14/$ mark. Tencent Holdings is up 1.1% in Asia, suggestive of a positive start for major holding company Naspers. The BHP Group is down 0.4% in Australia, suggestive of a soft start for local resource counters Economic calendar - key events and forecast (times in GMT) Source: Daily FX Economic Calendar 9.30am – UK employment data: unemployment rate to rise to 4% from 3.9% for February, while the March claimant count rises by 5K from 27K in February. Average hourly earnings including bonus to rise 3.2%. Markets to watch: GBP crosses 10am – German ZEW index (April): economic sentiment index to fall to -11 from -3.6. Markets to watch: EUR crosses Corporate News, Upgrades and Downgrades Rio Tinto has downgraded its annual iron ore production forecast due to damage and disruption from tropical cyclones in western Australia. Galliford Try has launched a review of its construction arm, while also issuing a profit warning following rising costs on its Queensferry Crossing joint venture. Full-year pre-tax profit will now be £30-40 million below forecasts. G4S said that it had made good progress in a review to separate its cash business, while revenue rose 4.8% for Q1. Ashmore saw assets under management rise 11.2% in its third quarter, to $85.3 billion. Net inflows and positive investment performance were the main drivers. LVMH upgraded to add at AlphaValue Rational upgraded to buy at Berenberg TomTom upgraded to buy at Kepler Cheuvreux Anglo American downgraded to hold at HSBC BP downgraded to outperform at RBC Kongsberg downgraded to hold at SEB Equities Worldline downgraded to hold at HSBC IGTV featured video Information has been prepared by IG, a trading name of IG Markets Limited. In addition to the disclaimer below, the material on this page does not contain a record of our trading prices, or an offer of, or solicitation for, a transaction in any financial instrument. IG accepts no responsibility for any use that may be made of these comments and for any consequences that result. No representation or warranty is given as to the accuracy or completeness of this information. Consequently any person acting on it does so entirely at their own risk. Any research provided does not have regard to the specific investment objectives, financial situation and needs of any specific person who may receive it. It has not been prepared in accordance with legal requirements designed to promote the independence of investment research and as such is considered to be a marketing communication. Although we are not specifically constrained from dealing ahead of our recommendations we do not seek to take advantage of them before they are provided to our clients. See full non-independent research disclaimer and quarterly summary. Asian Pacific markets were mixed on afternoon trading, edging off seven-month peaks as investors digested a rebound in U.S. jobs data and reports of more progress in the trade negotiations between Washington and Beijing, but still cautious on the outlook of the global economy and the U.S. earnings season. The U.S economy added 196,000 jobs in March, beating economists' expectations of a figure of 175,000. Chinese blue chip stocks climbed in the initial session, however slipped slightly as the Shenzhen composite fell 0.822%. MSCI's index of APAC shares outside Japan traded flat after reaching its high since August. Meanwhile, the Hang Seng gained 0.29% and the Nikkei was off 0.17%. In the U.S., the S&P 500 closed higher for its seventh trading day in a row last Friday, making it the longest winning streak since October 2017. However, analysts are expecting a quarter of contracting corporate earnings looming. The minutes of the Fed's last policy meeting are also due out on Wednesday. In Brexit, Theresa May continues to face challenges in securing a deal as she prepares for a summit with EU leaders on Wednesday. The pound last traded at $1.3062. Oil prices rose to five-month highs, driven by ongoing supply cuts and U.S. sanctions. Brent crude futures gained 0.4% to $70.65 a barrel and U.S. crude futures rose 0.52% to $63.41 per barrel. Spot gold traded a slightly firmer at $1,296.52 per troy ounce. Asian overnight: A mixed Asian session saw Chinese and Japanese markets lose ground, while Australia and Hong Kong traded in the green. Coming off the back of Friday’s positive payrolls beat, many had expected a more positive tart to the week for Asia. Oil prices rise to 2019 highs following an intensification of Libyan conflict saw over 20 dead over the weekend. A quiet economic calendar sees previous few notable data releases up until Wednesday’s ECB meeting, with today’s highlights coming in the form of eurozone investor confidence and US factory orders. South Africa: Global equity markets are trading mixed this morning as reflected by US Index Futures trading marginally into positive territory, while most Asian Indices trade marginally into negative territory. Oil is leading commodity price gains finding a catalyst for the move from in fighting in Libya, which threatens to disrupt global oil supply. The rand remains firm following last week's domestic catalyst in terms of a "positive" ratings review from Moody's Investor Relations. Tencent Holdings is up 0.8% in Asia, suggestive of a positive start for major holding company Naspers. The BHP Group is up 1.71% in Australia, suggetsive of a positive start for local diversified resource counters. There is little in the way of scheduled economic data releases today. Economic calendar - key events and forecast (times in GMT) Source: Daily FX Economic Calendar 3pm – US factory orders (February): orders forecast to fall 0.6% MoM. Markets to watch: USD crosses Corporate News, Upgrades and Downgrades Sports Direct said that it had offered to underwrite a £150 million equity raising by Debenhams. The offer is conditional on Mike Ashley becoming Debenhams’ CEO and that Debenhams’ lenders write off £148 million of debt. EAB Group upgraded to reduce at Inderes Norsk Hydro upgraded to buy at Citi Aena downgraded to underperform at RBC Collector cut to sell at SEB Equities Continental downgraded to hold at Kepler Cheuvreux Moneysupermarket downgraded to sell at Berenberg IGTV featured video Information has been prepared by IG, a trading name of IG Markets Limited. In addition to the disclaimer below, the material on this page does not contain a record of our trading prices, or an offer of, or solicitation for, a transaction in any financial instrument. IG accepts no responsibility for any use that may be made of these comments and for any consequences that result. No representation or warranty is given as to the accuracy or completeness of this information. Consequently any person acting on it does so entirely at their own risk. Any research provided does not have regard to the specific investment objectives, financial situation and needs of any specific person who may receive it. It has not been prepared in accordance with legal requirements designed to promote the independence of investment research and as such is considered to be a marketing communication. Although we are not specifically constrained from dealing ahead of our recommendations we do not seek to take advantage of them before they are provided to our clients. See full non-independent research disclaimer and quarterly summary. Confidence returns to the markets as Asian stocks rallied on Monday over positive Chinese factory gauges and signs of progress in US-China trade talks boosted investor sentiment. Manufacturing activity in China expanded at its fastest pace in eight months in March, reading 50.8 and beating analysts' expectations of 49.9. Bloomberg has announced that Chinese government bonds will be included in its Bloomberg Barclays Global Aggregate index, a global benchmark of government securities. This move could attract around $2 trillion of foreign inflows into China's onshore debt market and is expected to reshape global capital markets, according to Moody's. In Europe, Theresa May's divorce deal was defeated for a third time on Friday, leaving parliament in an ongoing political gridlock surrounding Brexit. The prime minister is considering restructuring the deal for a fourth vote this week, with another round of "indicative votes" for rival plans today. The Dow Jones closed 211.22 points higher on Friday, whilst the S&P 500 gained 0.7% to 2,834.40 - posting its best performing quarter since 1998 as it rose 13.1% for the period. The Shanghai Composite rallied 2.4% as the Nikkei and South Korea's KOSPI advanced 1.4% and 1.3% respectively. Australian stocks also climbed 0.6%. The pound edged up 0.15% to $1.3055 after posting three sessions of losses amid Brexit woes. Oil prices also posted their biggest quarterly rise in a decade, thanks to U.S. sanctions and OPEC-led supply cuts. WTI traded at $60.51 and Brent was at $68.16 a barrel. Asian overnight: A strong start to the week for Asia has seen Chinese markets surge higher amid a return to growth for their manufacturing sector. Improvements in both manufacturing and non-manufacturing PMI surveys out of China saw the first above-50 reading in manufacturing since September. This bullish sentiment was further enhanced by a second return to growth in the sector, with the Caixin PMI rising to 50.8 from 49.9. Meanwhile, in Japan we saw the Tankan manufacturing index fall to 12 (from 19), with services sliding to 21 (from 24). Elsewhere, the Turkish Lira lost further ground, with weekend local elections dealing a blow to Erdogan’s ruling coalition, which lost control of the city of Ankara. Istanbul is also hanging in the balance, with both sides claiming victory. UK, US and Europe: Looking ahead, a whole host economic data points are due out as the beginning of the new month brings a focus on UK PMI surveys and US jobs. The UK focus certainly remains prevalent today, with the manufacturing PMI providing the precursor to the second round of indicative votes in parliament. All eyes will be on the customs union and referendum (on any deal) options, given how close it was last time. This could be the beginning of a shift towards a softer Brexit (GBP positive). Elsewhere, eurozone inflation and unemployment is likely to ensure that there is plenty of euro volatility, with US retail sales and PMI surveys providing the focus in the afternoon. South Africa: Global markets are being led higher by the Shanghai Composite (+2.4%) after China released better than expected manufacturing data this morning. Markets are also perhaps finding some positivity from news that China's Vice Premier is heading to the US this week for further trade discussions. Metal prices trade mixed with precious metals down and base metals up on the day. The rand has been trading firmer since Friday after Moody's Investor Relations did not change South Africas investment rating or outlook. Tencent Holdings is up 1.5% in Asia, suggestive of a strong start for major holding company Naspers. The BHP Group is up 1.4% in Australia, suggestive of a positive start for local diversified miners. Economic calendar - key events and forecast (times in GMT) Source: Daily FX Economic Calendar 9.30am – UK manufacturing PMI (March): index expected to fall to 51.3 from 52. Markets to watch: GBP crosses 10am – eurozone CPI (March, flash): prices to rise 1.5% YoY, and core CPI to rise 1%. Markets to watch: EUR crosses 1.30pm – US retail sales (February): sales expected to rise 0.2% MoM. Markets to watch: US indices, USD crosses 3pm – US ISM mfg PMI (March): activity expected to increase, with the index rising to 54.5 from 54.2. Markets to watch: US indices, USD crosses Corporate News, Upgrades and Downgrades easyJet predicts H1 performance to be in-line with prior forecasts, where pre-tax losses total £275 million. Total revenue is expected to have grown by 7.3%, yet headline costs at predicted to have risen by 18.8% thanks to increased capacity, higher fuel unit costs and increased cost per seat. Kellogg is reported to be nearing a deal to sell its Keebler business to Ferrero for between $1 billion and $1.5 billion. John Laing Group upgraded to outperform at RBC Orange upgraded to buy at Berenberg PostNL upgraded to buy at Berenberg Royal Mail upgraded to hold at Berenberg Kingfisher downgraded to equal-weight at Morgan Stanley Nemetschek downgraded to hold at Baader Helvea IGTV featured video Information has been prepared by IG, a trading name of IG Markets Limited. In addition to the disclaimer below, the material on this page does not contain a record of our trading prices, or an offer of, or solicitation for, a transaction in any financial instrument. IG accepts no responsibility for any use that may be made of these comments and for any consequences that result. No representation or warranty is given as to the accuracy or completeness of this information. Consequently any person acting on it does so entirely at their own risk. Any research provided does not have regard to the specific investment objectives, financial situation and needs of any specific person who may receive it. It has not been prepared in accordance with legal requirements designed to promote the independence of investment research and as such is considered to be a marketing communication. Although we are not specifically constrained from dealing ahead of our recommendations we do not seek to take advantage of them before they are provided to our clients. See full non-independent research disclaimer and quarterly summary. US-China trade talks have restarted in Beijing as U.S. Treasury Secretary Steven Mnuchin said on Friday that he had a "productive working dinner" the previous night. Investors are hopeful that progress will be made to resolve the bitter trade dispute between the two largest global economies, amid growing concern of a slowing economy as the bond market signals a possible incoming recession. Theresa May is set to make a third attempt to pass a Brexit deal today, as the MPs are asked to vote for a "blindfold Brexit" on the day that Britain was originally due to exit the EU. The format for today's vote has been crucially changed to comply with Speaker John Bercow's recent ruling, so that MPs will vote only to approve the withdrawal treaty and not the 26-page political declaration that accompanies it. Huawei's revenue and profits soar, despite recent major political headwinds. The Chinese tech giant reported revenue of over $100 billion in 2018, a 19.5% year-on-year rise. Net profit also rose 25% compared to 2017. The Dow Jones rose 91.87 points to 25,717.46, whilst the S&P gained 0.4% and the Nasdaq advanced 0.3% to close at 7,669.17. Asian equities followed suit as the Shanghai Composite rose more than 3.1% and Japan's Nikkei climbed 0.8% on Friday. In the currency market, the pound regained 0.3% to $1.3077 after losing more than 1% the previous day. The euro stands steady at $1.1232 and the Turkish lira dropped 1%, after it had plunged 4% the day before. U.S. crude futures traded up 0.4% at $59.55 a barrel, recovering from Thursday's low of $58.20. Palladium dropped 0.4% after seeing declines of 6.6% yesterday. The precious metal has fallen from last week's peak on concerns that demand could be affected by an economic slowdown. Asian overnight: Chinese markets were the big outperformer in a widely bullish session, with the Shenzhen composite trading 3.7% higher amid hopes for a breakthrough in US-China trade talks. Yesterday’s comments out of the US point towards widespread progress for these talks, raising the prospect of an eventual deal. Overnight data all focused in on Japan, where a slightly weaker retail sales number marked the one blot on an otherwise impressive set of data. Improved housing starts, industrial production, and unemployment helped boost confidence in the economy. UK, US and Europe: Looking ahead, Theresa May gets a third bite of the cherry, with another meaningful vote taking place today. The failure to secure support from the DUP should consign this attempt to another loss, yet some believe that the decision to split the withdrawal agreement from the political declaration could help secure some extra votes. It is a busy morning otherwise for the pound, with final GDP, current account, net lending, mortgage approvals, and the Nationwide HPI all released at 9.30am. In the afternoon, keep an eye out for Canadian monthly GDP, alongside the US core PCE price index, personal spending, and Chicago PMI. Economic calendar - key events and forecast (times in GMT) Source: Daily FX Economic Calendar 8.55am – German unemployment (March): rate to hold at 5%. Markets to watch: EUR crosses 9.30am – UK GDP (Q4, final): growth expected to be 1.3% YoY and 0.2% QoQ. Markets to watch: GBP crosses 12.30pm – US personal income (February): forecast to grow 0.2% MoM. Markets to watch: US indices, USD crosses 1.45pm – Chicago PMI (March): expected to fall to 57 from 64.7. Markets to watch: US indices, USD crosses 2pm – US pending home sales (February): expected to rise 1.6% MoM. Markets to watch: USD crosses TBD - Parliament Brexit Vote Corporate News, Upgrades and Downgrades Renewi has cut 2020 guidance, and will also cut its dividend, after it was hit by new regulations in the Netherlands for soil treatment. Operating earnings for the year to March 2020 are expected to fall by €25 million. Travis Perkins said that its CEO John Carter would stand down in August. He will be replaced by Atkins CEO Nick Roberts. Bowleven has reported a drop in pre-tax losses for 2018, to $1.4 million, from $2.8 million a year earlier. Efforts to cut spending have borne fruit, helping to cut administration expenditure to $2.1 million from $3.6 million in the previous year. Wells Fargo shares jumped 2.6% in after hours trading on Thursday, following an announcement that CEO Tim Sloan will be retiring. AstraZeneza has struck a $6.9bn deal with Japan's Daiichi Sankyo to develop and sell a new cancer drug that is expected to treat breast and gastric cancers. Partners Group raised to overweight at Morgan Stanley Boskalis downgraded to add at AlphaValue Evraz downgraded to neutral at Citi Tele2 downgraded to hold at Berenberg Maersk downgraded to add at AlphaValue IGTV featured video Information has been prepared by IG, a trading name of IG Markets Limited. In addition to the disclaimer below, the material on this page does not contain a record of our trading prices, or an offer of, or solicitation for, a transaction in any financial instrument. IG accepts no responsibility for any use that may be made of these comments and for any consequences that result. No representation or warranty is given as to the accuracy or completeness of this information. Consequently any person acting on it does so entirely at their own risk. Any research provided does not have regard to the specific investment objectives, financial situation and needs of any specific person who may receive it. It has not been prepared in accordance with legal requirements designed to promote the independence of investment research and as such is considered to be a marketing communication. Although we are not specifically constrained from dealing ahead of our recommendations we do not seek to take advantage of them before they are provided to our clients. See full non-independent research disclaimer and quarterly summary. Lyft, the ride-hailing company and one of Uber's main competitors, has begun its investor roadshow to pitch its Nasdaq listing as it looks to raise $2bn at a valuation of around $23bn. The company suggested a price range between $62 and $68 per share in its filing to the SEC on Monday, and will use the ticker symbol LYFT when it begins trading. This is a first indication of what ride sharing companies could be worth in public markets as we await Uber's IPO in the coming months. Theresa May's Brexit plans faces further hurdles as Speaker John Bercow ruled yesterday that she could not allow a new vote unless the agreement was submitted in a substantially different form to the one defeated twice before, in January and last week. Asian shares traded within tight ranges on Tuesday as investors await the Fed's policy meeting tomorrow, where expectations are a dovish tone from the central bank. The Nikkei dropped 0.3%, while Australian shares fell 0.1%. Major U.S. indices gained overnight on the back of speculation of a dovish Fed, with the Dow Jones, the S&P 500, and the Nasdaq each posting between 0.3 to 0.4%. In the currency market, the pound slipped as slow as $1.3183 overnight as doubt forms over May's attempt to get MPs to back her Brexit deal. The dollar basket index traded at 96.475, close to a two-week low. Oil prices continue to rise over ongoing supply cuts and U.S. sanctions. WTI traded at $59.09 whilst Brent Crude was at $67.62 a barrel. Palladium hits a record high of $1,593.77 an oz as the risk of a ban on exports by Russia, a major producer of the precious metal, adds to supply concerns. UK, US and Europe: A four-month high for the S&P 500 confirms the recovery in equities, while emerging markets are also doing well, as seen by the Brazilian index, which surpassed 100,000 for the first time. The UK government's plans to hold a third Meaningful Vote were scuppered by the Speaker, and it now looks like a vote will not be held this week. UK unemployment data and the German ZEW index are on the list for the day, while US markets and the dollar prepare for the Fed decision tomorrow. South Africa: Global equity markets are are trading flat today as markets wait for central bank meetings later this week to guide them further. The US Federal Reserve will advise markets on Wednesday as to the future of monetary policy within the region. The expectation is that the bank may move to suggest just one rate hike later this year, a far less hawkish stance than was evident late last year. The dollar trade slightly softer and in turn we see commodity prices slightly higher and the rand slightly firmer as well. Tencent Holdings is down 0.5% in Asia, suggestive of a similar start for major holding company Naspers. BHP Group is up 1.5% in Australia, suggestive of a positive start for local resource counters. Economic calendar - key events and forecast (times in GMT) Source: Daily FX Economic Calendar 9.30am – UK employment data: 150K jobs expected to have been created in December, while the January unemployment rate holds at 4%. Average hourly earnings to rise 3.5% in January. Markets to watch: GBP crosses 10am – German ZEW index (March): economic sentiment to fall to -14 from -13.4. Markets to watch: EUR crosses 11.50pm - BoJ meeting minutes.Markets to watch: JPY crosses Corporate News, Upgrades and Downgrades Ocado said that a fire at its Andover location meant revenue in the first quarter fell 11.2%, and that the firm was still assessing 2019 guidance for 10-15% revenue growth. Antofagasta said that full-year EBITDA fell 14.9% to $2.2 billion, while pre-tax profit fell 31.6% to $1.25 billion. Output guidance for 2019 was left unchanged at 750-790 thousand tonnes of copper. Wood Group reported a 79% jump in revenue to $11.04 billion, while operating profit before exceptionals rose 68% to $357 million. Baloise upgraded to overweight at JPMorgan Deutz upgraded to buy at Kepler Cheuvreux Hikma upgraded to buy at Citi Informa upgraded to overweight at Morgan Stanley DWS downgraded to hold at DZ Bank Leoni downgraded to underperform at MainFirst Wacker Neuson downgraded to hold at Commerzbank Marshalls downgraded to hold at Berenberg IGTV featured video Information has been prepared by IG, a trading name of IG Markets Limited. In addition to the disclaimer below, the material on this page does not contain a record of our trading prices, or an offer of, or solicitation for, a transaction in any financial instrument. IG accepts no responsibility for any use that may be made of these comments and for any consequences that result. No representation or warranty is given as to the accuracy or completeness of this information. Consequently any person acting on it does so entirely at their own risk. Any research provided does not have regard to the specific investment objectives, financial situation and needs of any specific person who may receive it. It has not been prepared in accordance with legal requirements designed to promote the independence of investment research and as such is considered to be a marketing communication. Although we are not specifically constrained from dealing ahead of our recommendations we do not seek to take advantage of them before they are provided to our clients. See full non-independent research disclaimer and quarterly summary. Amid the political uncertainty surrounding Brexit, the Bank of England has advised UK lenders to triple their holdings of liquid assets in the run-up to Brexit to prepare for a forecast market meltdown if the UK leaves the EU without a deal later this month. Banks are also being told to adjust their balance sheets on the assumption that they will not be able to swap sterling for USD. Worries over an economic slowdown intensified on Friday after US jobs data significantly missed forecasts, creating only 20,000 jobs in February, compared to the expected 180,000. This comes after China showed weak exports data last week, deepening concerns about the impact of the trade war. U.S. equities fell sharply at the start of Friday's before pulling back losses. The S&P and the Nasdaq both closed roughly 0.2% lower, with the S&P posting its fifth day losing streak. In Asia, markets were mixed as investors remained cautious. The CSI 300 gained 1.98%, whilst Japan's Nikkei fluctuated between gains and losses to finish up 0.47%. Nissan's shares rose over 1% as ex-chairman Ghosn, is reportedly seeking permission to attend the company's board meeting on Tuesday. The ASX fell 0.38% as most sectors saw declines. The pound is down 0.3% at $1.2984, after falling to a three-week low of $1.2945 earlier today. The dollar traded at 111.15 yen. Oil prices increased on the back of comments from the Saudi oil minister that supply cuts were unlikely to end before June. U.S. crude rose 0.5% to $56.35 a barrel. Brent crude gained 0.4% to $62.98. Asian overnight: A largely positive start to the week has seen gains across Asian markets, with the Australian ASX 200 providing the one outlier. Coming off the back of a week of substantial losses, many will hope that this is the beginning of a more positive phase, with growth fears behind us after a week of huge data. UK, US and Europe: This week we see Brexit take centre stage, and the pound is losing ground as a result. With Tuesday and Wednesday bringing the potential for three Brexit votes, the monthly GDP reading, and the Spring budget, it is no wonder markets are showing great un certainty. However, for today we see things kick off in somewhat slow fashion where the US retail sales figures represent the only event of note for traders. That being said, coming off the back of such losses last week, today could set the precedent for where we go from here. South Africa: Our local bourse is expected to trade flat to marginally higher on open this morning following US Index Futures which trade in positive territory and Asian equity markets which trade mostly firmer today as well. Markets will be eagerly awaiting the outcomes of Brext votes starting tomorrow, where UK Parliment will decide on whether to leave the EU without a deal, pass the existing deal or extend the deadline for a deal. Commodity prices are mixed this morning with oil up and metals mostly down. The rand has weakened to its worst levels in the last few weeks. Tencent Holdings is up 2.13% in Asia, suggestive of a positive start for major holding company Naspers. The BHP Group is 1% lower in Australia, suggestive of a soft start for local resource counters. Economic calendar - key events and forecast (times in GMT) Source: Daily FX Economic Calendar 12.30pm – US retail sales: sales expected to rise 0.1% MoM. Markets to watch: US indices, USD crosses Corporate News, Upgrades and Downgrades Provident Financial said shareholders have been given until early May to assess the hostile takeover bid from Non-Standard Financial. Polymetal reported net income for 2018 of $354 million, broadly flat on a year earlier, while revenue rose 4% to $1.88 billion due to increased output of gold and silver. Kier Group has unexpectedly issued a warning that debt has increased to £180.5m, up £50m from last year. Eurazeo SE upgraded to buy at SocGen Maersk upgraded to buy at Handelsbanken SIG upgraded to neutral at JPMorgan Tele2 upgraded to equal- weight at Barclays Andritz Downgraded to Accumulate at Erste Group Redde downgraded to neutral at JPMorgan Deutsche PBB downgraded to neutral at Citi Galp downgraded to underweight at JPMorgan IGTV featured video Information has been prepared by IG, a trading name of IG Markets Limited. In addition to the disclaimer below, the material on this page does not contain a record of our trading prices, or an offer of, or solicitation for, a transaction in any financial instrument. IG accepts no responsibility for any use that may be made of these comments and for any consequences that result. No representation or warranty is given as to the accuracy or completeness of this information. Consequently any person acting on it does so entirely at their own risk. Any research provided does not have regard to the specific investment objectives, financial situation and needs of any specific person who may receive it. It has not been prepared in accordance with legal requirements designed to promote the independence of investment research and as such is considered to be a marketing communication. Although we are not specifically constrained from dealing ahead of our recommendations we do not seek to take advantage of them before they are provided to our clients. See full non-independent research disclaimer and quarterly summary. Global tensions reach new heights as Chinese tech giant Huawei files a lawsuit against the U.S, claiming that a law that bans government agencies from buying the company's equipment is unconstitutional. This comes after Huawei's CFO also filed legal proceedings against Canada. Meanwhile, there has been a report that North Korea are moving to rebuild a nuclear missile site, following a break down last week in the summit between Trump and Kim Jong Un. In Europe, there is the ECB's board meeting later today. The central bank is expected slash growth forecasts and is likely to provide strong signals that fresh economic stimulus could be coming in the form cheap loans. U.S. equities fell on Wednesday, posting a 3-day losing streak as investors await more clues that a US-China trade deal could be reached soon. The Dow Jones lost 113.17 points to 25,673.46, whilst the S&P 500 fell 0.65% to 2,771.45, led by declines in the healthcare and energy sectors. The Nasdaq dropped 0.9% to 7,505.92. Shares in Asia eased in Thursday afternoon trade following the consecutive days of losses on Wall Street. The CSI 300 was down over 1% as Hong Kong's Hang Seng slipped 0.46%. The Nikkei fell 0.78%, weighed by a 3.46% decline in Fanuc shares - one of the index's largest constituents. Meanwhile in Australia, the ASX gained over 0.31% as almost all sectors saw gains. In the FX market, the Euro hovers near a two-week low at $1.1304 ahead of the ECB meeting. The US Dollar eased back 0.1% to 111.70 yen, after trading around two-week highs. Gold steadies on growth worries and a firmer dollar, hovering around $1285. Oil traded slightly higher amid ongoing U.S. sanctions and OPEC-led supply cuts, although a surging U.S. supply in crude inventories has hindered further price rises. U.S. crude gained 0.3% to $56.40 while Brent crude was up 0.5% to $66.32. Asian overnight: Another weak session in Asia came off the back of a leaden US session, with US growth concerns weighing on the recent recovery in stocks. Australia was the one outlier to this story, with a sharp rise in their trade surplus outweighing the negativity associated with a weakening retail sales figure. All in all, none of the moves throughout the sessions were particularly notable in size, with markets awaiting Friday’s US jobs report and further news on US-China trade talks. UK, US and Europe: Looking ahead, the ECB provides the big event of the day, with Mario Draghi likely to provide a somewhat neutral outlook given weakness in eurozone growth, and below target inflation. However apart from that, we are looking at a quiet day, with many awaiting tomorrow's Chinese trade data and US jobs report. South Africa: Global equity markets are trading mostly lower this morning ahead of this afternoon's European Central Bank (ECB) rates decision. While no change in lending rates is expected, the ECB is expected to lower there economic forecasts for the region. Brexit negotiations continue to create uncertainty in the region as well. Markets remain cautious ahead of an expectant trade announcement between the US and China. The dollar remains firm although has given up some of its gains this morning. Commodity prices trade flat on the day. The rand remains around its weakest levels of the week. Tencent is down 1.8% in Asia, suggestive of similar weakness to follow for major holding company Naspers. BHP group is down 0.66% in Australia suggestive of weakness to follow in local resource counters. Economic calendar - key events and forecast (times in GMT) Source: Daily FX Economic Calendar 10am – eurozone employment change & GDP growth (Q4): employment to rise 0.3% QoQ and GDP to grow 0.2% QoQ and 1.2% YoY for the third estimate. Markets to watch: EUR crosses 12.45pm – ECB rate decision (1.30pm press conference): no change in policy expected, but attention will focus on whether the bank has yet had any discussion surrounding further easing in the eurozone. Markets to watch: eurozone indices, EUR crosses Corporate News, Upgrades and Downgrades Greggs expects to announce a special dividend in July after pre-tax profits excluding exceptionals rose 9.8%. However, the firm expects greater uncertainty and tougher comparatives in 2019. National Grid has bought US clean energy developer Geronimo for $100 million. Admiral said that it had run stress tests to Brexit-proof its business, warning that potential disruptions from a hard Brexit. In addition, pre-tax profit rose 18% to £479.3 million for 2018. Inmarsat reported a 15% rise in Q4 core earnings, to $190.6 million, thanks to strong demand from its aviation division which offset weakness in its maritime business. Ultra Electronics Raised to Overweight at JPMorgan Lufthansa Upgraded to Buy at Citi BMW Downgraded to Sell at Bankhaus Lampe AB InBev Cut to Sector Perform at RBC Just Eat Cut to Equal-weight at Morgan Stanley IGTV featured video Information has been prepared by IG, a trading name of IG Markets Limited. In addition to the disclaimer below, the material on this page does not contain a record of our trading prices, or an offer of, or solicitation for, a transaction in any financial instrument. IG accepts no responsibility for any use that may be made of these comments and for any consequences that result. No representation or warranty is given as to the accuracy or completeness of this information. Consequently any person acting on it does so entirely at their own risk. Any research provided does not have regard to the specific investment objectives, financial situation and needs of any specific person who may receive it. It has not been prepared in accordance with legal requirements designed to promote the independence of investment research and as such is considered to be a marketing communication. Although we are not specifically constrained from dealing ahead of our recommendations we do not seek to take advantage of them before they are provided to our clients. See full non-independent research disclaimer and quarterly summary. Barrick Gold has announced an unsolicited plan to merge with Newmont Mining in a $19 billion all-share transaction. The merger, if successful, would create the world's largest gold mining company and could potentially re-shape the industry, along with gold prices. This comes after Barrick completed their $6.1 billion acquisition of Randgold Resources last month. Tesla shares fell almost 5% yesterday after the SEC asked a judge to hold CEO, Elon Musk, in contempt for failing to abide by a settlement deal that was agreed last year. This relates to a tweet last week from Musk about Tesla's production rate. Theresa May is poised to open the way for delaying Brexit as it is reported that she will give MPs a vote on either continuing with a no-deal Brexit or to go for an extension to the Article 50 exit, should the revised deal be rejected on March 12th. Jeremy Corbyn has also yielded to back a potential second referendum. Asian Equities lose steam after a 5.9% surge at the start of the week as investors await further signs on improvement in trade relations. The CSI 300 was down 1.2%, the Hang Seng lost 0.7%, whilst the Nikkei traded 0.4% lower. The ASX also fell around 0.9%, weighed by key mining and energy stocks. The Pound jumped to a near four-week high at $1.3149 in early trading on the back of reports that the May will allow the possibility of the Brexit deadline being extended. Oil prices fell as much as 3% as Trump called on OPEC to ease prices once again. US Crude was down to $55.16 a barrel whilst Brent was trading at $64.56. Palladium hits a record high price above $1,550 as the supply squeeze from the car industry continues. Gold is currently trading around $1,325. Asian overnight: Asian markets lost their way a little overnight, with Japanese, Hong Kong, and Australian indices all trading in the red. The Chinese markets remained the leading light, yet the gains were significantly more muted in the wake of yesterday’s blockbuster 5.9% rally in the CSI 300. Data-wise, the Japanese have released the BoJ core CPI, which rose slightly to 0.5% (from 0.4%), falling short of the 0.6% market expectations. UK, US and Europe: Today sees Donald Trump and Kim Jong-Un kick off a two-day meeting, after the North Korean leader arrived in Vietnam by train. As before, the rogue state’s weapons programme remains the hot topic, with Trump willing to ease sanctions and help the nation develop in exchange for further denuclearisation. In the UK, the BoE’s Mark Carney looks set to talk to the Treasury select committee about the inflation report, with both growth and inflation on the slide. Economic calendar - key events and forecast (times in GMT) Source: Daily FX Economic Calendar 1.30pm – US housing starts & building permits (December): starts to fall 0.5% MoM and permits to fall 7% MoM. Markets to watch: US indices, USD crosses Corporate News, Upgrades and Downgrades Travis Perkins suffered a pre-tax loss of £49 million for 2018, compared to profits of £290 million a year earlier. A £246 million non-cash impairment against Wickes was taken. Adjusted pre-tax profit was up 1.2% to £347 million. Fresnillo reported a 34.75 drop in pre-tax profit, to $483.9 million, for 2018, while revenue rose 0.5% to $2.1 billion. Higher costs, lower than expected output and falling commodity prices were blamed for the poor performance. Persimmon said that pre-tax profit for 2018 was up 13% at £1.09 billion, while revenue was 4% higher at £3.74 billion. Interim CEO Dave Jenkinson has been appointed as the new permanent CEO. Meggitt saw 2018 pre-tax profit fall 5.3% to £216.1 million, but underlying operating profit and revenue both rose by 4%. General Electric shares surge after Danaher announces it will buy GE's pharmaceutical business for $21.4 billion. Berkshire Hathaway reported quarterly profit of $2.32 per share, above the $1.85 consensus estimate. Twitter co-founder Evan Williams is stepping down as a member of the board at the end of the month. CIE Automotive upgraded to hold at Kepler Cheuvreux Elekta upgraded to hold at SEB Equities Siemens upgraded to overweight at JPMorgan Schoeller-Bleckmann upgraded to hold at Berenberg BT downgraded to hold at Berenberg SAS downgraded to neutral at SpareBank SocGen downgraded to hold at Jefferies Sainsbury downgraded to add at AlphaValue IGTV featured video Information has been prepared by IG, a trading name of IG Markets Limited. In addition to the disclaimer below, the material on this page does not contain a record of our trading prices, or an offer of, or solicitation for, a transaction in any financial instrument. IG accepts no responsibility for any use that may be made of these comments and for any consequences that result. No representation or warranty is given as to the accuracy or completeness of this information. Consequently any person acting on it does so entirely at their own risk. Any research provided does not have regard to the specific investment objectives, financial situation and needs of any specific person who may receive it. It has not been prepared in accordance with legal requirements designed to promote the independence of investment research and as such is considered to be a marketing communication. Although we are not specifically constrained from dealing ahead of our recommendations we do not seek to take advantage of them before they are provided to our clients. See full non-independent research disclaimer and quarterly summary. Asia share markets began the week with strong gains as investors hope for both further progress at US-China trade talks in Washington this week and more stimulus from major central banks. Trump stated in a White House news conference that he would be "honored" to remove current tariffs if an agreement can be reached, and to possibly extend the March 1st deadline for a deal. The Shanghai Composite was up around 1.8% by the end of the morning trading session, whilst the Hang Seng and the Nikkei gained 1.51% and 1.8%, respectively. Australia's ASX 200 traded 0.35% higher. US stock markets surged on Friday, posting another solid weekly gain. The Dow Jones jumped over 400 points, the S&P gained 1.1% to close at 2,775.60 and the Nasdaq gained 0.6% to end of the day. US markets are closed today for Presidents Day. In Forex, the Pound was up 0.2% against the USD at $1.291 after reports that Australia's trade minister was ready to sign a fast-tracked trade agreement with the UK in the event of a no-deal Brexit. Oil prices reached their highest levels for the year so far on the back of OPEC supply cuts and US sanctions on Iran and Veneuela. US crude was up 1% at $56.143 and Brent was up 0.8% at $66.78 a barrel. Gold gained 0.2% to $1,323.56 per ounce, helped by a slight fall in the dollar. Asian overnight: An overwhelmingly bullish session overnight has seen Asian stocks surge higher, following on from a Friday’s session which saw the Dow post its biggest weekly gain in a month. Sentiment around US-China trade talks appear to be improving, and while we saw no concrete breakthrough from last week’s talks, they will continue to negotiate this week. For today, the US markets are closed for Presidents' Day. We also saw sharp gains for oil amid expectations of further cuts from key suppliers. Finally, the pound enjoyed a boost after the Australian trade minister said that they would fast-track a trade deal with the UK in the event of a no-deal Brexit. UK, US and Europe: Looking ahead, there are precious few events of note to watch out for. Meanwhile, with the US markets closed for the day, volumes will be low. South Africa: Markets look set for a positive start following gains in Asia, catalysed by the progression in trade talks between China and the US. The US dollar has weakened on the back of improved risk appetite and in turn we are seeing commodity prices trading firmly in to positive territory. Emerging market currencies (such as the rand) are renewing some short term strength. Tencent Holdings is up 2.2% in Asia, suggestive of a similar start for major holding company Naspers. The BHP Group is up 1.45% in Australia, suggestive of a positive start for local resource counters. Economic calendar - key events and forecast (times in GMT) Source: Daily FX Economic Calendar Presidents’ Day in the US – US stock markets closed Corporate News, Upgrades and Downgrades UK cyber-security chiefs have concluded that any risk posed by Huawei in UK 5G telecoms projects can be managed, denting the US drive for a global ban. Barclays has been dumped by one of its biggest investors, as US hedge fund Tiger Global has been reported to having sold off its stake in the bank. Reckitt Benckiser reported a 10% drop in revenue to £12.6 billion for the year, but adjusted operating profit rose 8% to £3.36 billion. The firm expects 3-4% like-for-like growth in 2019. Anglo American boosted its dividend payout ratio by 40% for the year, while earnings rose 21% to R14.5 billion for the year. Petra Diamonds suffered a loss of $57.9 million for 2018, from $117.7 million a year earlier, while revenue rose to $207.1 million, from $191.8 million. Atrium Ljungberg raised to buy at Kepler Cheuvreux Continental upgraded to hold at Berenberg Swedish Match upgraded to buy at SocGen ThyssenKrupp upgraded to buy at Bankhaus Centrica downgraded to hold at Berenberg Nordex cut to neutral at MainFirst Petrofac downgraded to hold at HSBC Renault downgraded to reduce at AlphaValue IGTV featured video Information has been prepared by IG, a trading name of IG Markets Limited. In addition to the disclaimer below, the material on this page does not contain a record of our trading prices, or an offer of, or solicitation for, a transaction in any financial instrument. IG accepts no responsibility for any use that may be made of these comments and for any consequences that result. No representation or warranty is given as to the accuracy or completeness of this information. Consequently any person acting on it does so entirely at their own risk. Any research provided does not have regard to the specific investment objectives, financial situation and needs of any specific person who may receive it. It has not been prepared in accordance with legal requirements designed to promote the independence of investment research and as such is considered to be a marketing communication. Although we are not specifically constrained from dealing ahead of our recommendations we do not seek to take advantage of them before they are provided to our clients. See full non-independent research disclaimer and quarterly summary. Alphabet, Google's parent company, saw its share prices fall over 3% in extended trading on the back of continuing pressure on advertising prices and decreasing margins - adding to the concern over the company's periodic surges in spending. This comes despite the company beat expectations across the board in its Q4 results. Theresa May will travel to Ireland today to try to ease concerns over a hard border situation in Ireland upon Brexit. Meanwhile, UK Steel has warned that a no-deal Brexit would severely impact the British steel industry, worth £2.8bn a year in sales. The US Fed's Chairman, Jerome Powell, has signaled that the rate hikes and balance sheet tightening may be coming to a halt amid a concerning outlook for the US economy due to global growth and trade wars. The S&P 500 ended 0.7% higher to claim its fourth successive daily gain. Australian equities jumped 2% as a government-appointed inquiry scoured the country's financial sector for misconduct, leaving the banks to rise. Japan's Nikkei ended the day down 0.2%. Markets across most of Asia were offline for Lunar New Year. The AUD strengthened after the Australian central bank halted interest rate changes, noting uncertainty over falling house prices. The currency ended 0.5% higher at $0.7263. The pound and the euro both remained steady at $1.3040 and $1.1431, respectively. Brent Crude rose 0.4% to $62.75 a barrel, whilst Gold was up 0.2% to $1,314 an ounce. Asian overnight: A thin Asian session saw Australian stocks rise sharply amid a gains for the financial sector and the miners. Chinese and Hong Kong markets remained closed for Lunar New Year, with Japanese stocks trading somewhat mixed over the session. The Australian dollar gained ground following a decision from the RBA to retain rates at 1.5%, while their trade balance rose to the second largest surplus on record. However, much of this was thanks to a huge fall in imports; the largest one-month fall in imports recorded. UK, US and Europe: Looking ahead, the UK services PMI looks set to be the big release to watch out for, following on from worrying manufacturing and construction sector surveys. With the UK economic growth picture hugely reliant upon the services sector, today’s figure will have significant implications for Q1 growth. That services theme continues into the afternoon, with the US non-manufacturing PMI reading expected to tick lower. On the corporate front, watch out for numbers from Walt Disney and Snap. South Africa: Global markets are trading flat to mixed this morning with Hong Kong and China closed for the Lunar New Year festivities. Oil has started to rise again with an embargo on Venezuela's largest oil producer and OPEC production cuts providing some of the short term excuses for the move. The rand remains firm against the dollar, while metal prices are mostly firmer this morning. The BHP Group is up 1.1% in Australia, suggestive of a positive start for local miners. Anglo American Platinum has released a strong trading update which is expected to further bouy platinum miners this morning, following on from yesterday's upbeat report from Impala Platinum . Economic calendar - key events and forecast (times in GMT) Source: Daily FX Economic Calendar 9.30am – UK services PMI (January): previous reading 51.2. Market to watch: GBP crosses 3pm – US ISM non-mfg PMI (January): forecast to fall to 57.5 from 58. Markets to watch: US indices, USD crosses Corporate News, Upgrades and Downgrades Tesla has agreed to buy Maxwell Technologies in a $218m deal, in an attempt to lower the cost of car batteries. Ocado reported a loss of £44.9 million for the year, from a £9.8 million loss a year earlier. Sales were up 12% to £1.48 billion, and the firm expects the retail sales business to report growth of 10-15% in 2019. BP said that replacement cost profit rose to $12.7 billion for 2018, compared to $6.2 billion a year earlier. Upstream production rose 8.2% over the year, and the dividend was raised by 2.5% to 10 cents per share. Centrica has signed a long-term supply deal for liquefied natural gas with a planned project in Mozambique, as it looks for new sources of fuel as North Sea output declines. St Modwen Properties reported a 4.3% rise in net asset value per share, to 470.4p, for the year through to December. The dividend was raised 13.1% to 7.1p per share. Cobham upgraded to hold at Kepler Cheuvreux Wirecard upgraded to buy at LBBW Morrison upgraded to buy at Berenberg Orpea raised to buy at Kepler Cheuvreux Carlsberg downgraded to neutral at Oddo BHF Lundin Petroleum downgraded to hold at HSBC Merlin downgraded to hold at SocGen Segro downgraded to hold at SocGe IGTV featured video Information has been prepared by IG, a trading name of IG Markets Limited. In addition to the disclaimer below, the material on this page does not contain a record of our trading prices, or an offer of, or solicitation for, a transaction in any financial instrument. IG accepts no responsibility for any use that may be made of these comments and for any consequences that result. No representation or warranty is given as to the accuracy or completeness of this information. Consequently any person acting on it does so entirely at their own risk. Any research provided does not have regard to the specific investment objectives, financial situation and needs of any specific person who may receive it. It has not been prepared in accordance with legal requirements designed to promote the independence of investment research and as such is considered to be a marketing communication. Although we are not specifically constrained from dealing ahead of our recommendations we do not seek to take advantage of them before they are provided to our clients. See full non-independent research disclaimer and quarterly summary. The 35 day partial US government shutdown has ended after Trump conceded his demand for $5.7 billion to build his border wall as a condition for reopening the government. The temporary measure will fund the government for three weeks while Congress try to craft an immigration deal that pleases the president. US equities closed at a high on Friday as a solution for the partial government shutdown is reached. The Dow closed 0.8% higher at 24,737.20, whilst the S&P 500 also gained 1% and the Nasdaq edged higher on the back of strong earnings from Starbucks. In Asia, China's CSI 300 and Hong Kong's Hang Seng lost almost 0.2%, whilst Japan's Nikkei closed 0.6% lower, led by a fall in utilities stocks. Australian markets were shut for their 'Australia Day' holiday. The pound hovered around a three-month high of $1.3218 on Friday as optimism arises that the UK can avoid a no-deal Brexit. The dollar slipped 0.2% against the yen at 109.31. Oil prices have fallen as Australia became the latest country to back the Venezuelan opposition leader Juan Guaidó as the major oil-producing country's interim president. Brent crude was down 1% at $61.02 a barrel, WTI fell 1.1% to $53.09. Gold reached a 7-month high of $1,304.40 in the early trading session. Asian overnight: A largely negative session in Asia saw losses across Japanese, Chinese, and Hong Kong markets. With oil prices one of the biggest movers, Australian markets would have likely joined those losses had they not been closed for Australia Day. Turmoil in Venezuela had largely written off any hopes of a resurgence for the nation, yet with the military chief defecting and urging his fellow soldiers to do the same, the potential for a huge shift is evident. Given Venezuela has the largest oil reserves in the world, the impact on global supply is obvious should the country shift direction. UK, US and Europe: Looking ahead, a number of US releases appear to have been delayed despite the resolution found for the funding of government entities. Thus, instead markets will be watching for the appearances from Draghi and Carney in the afternoon. South Africa: Global markets are trading mostly softer this morning with US Index Futures down around 0.3% and the Shanghai Composite down around 0.2%. Today's losses partially temper strong gains in equity markets on Friday, following news that the Peoples Bank of China (PBOC) had freed up nearly $40bn for bank lending.The dollar softened on Friday, which combined with trade optimism, has seen metal prices mostly higher, with Gold now back above the $1300/oz mark. The rand is trading flat to marginally weaker this morning, although remains around its best levels seen in the last few weeks. Tencent is 0.4% lower in Asia suggestive of a slightly softer start for major holding company Naspers. Economic calendar - key events and forecast (times in GMT) Source: Daily FX Economic Calendar 3pm – US new home sales (December): sales to rise 0.7% MoM. Markets to watch: US indices, USD crosses Corporate News, Upgrades and Downgrades Wood Group has sold three non-core assets for $28 million, and has finalised the previously-announced sale of a wind farm. TI Fluid Systems expects annual operating margins to be in-line for the ear, with overall results meeting forecasts. The CFO will also stand down once a replacement has been found. Paragon Banking said it boosted lending volumes by 41% in its first quarter, with total lending volumes rising to £660.5 million. Saudi Aramco plans to invest almost $1.6 billion for a 19.9% stake in South Korean refiner Hyundai Oilbank. Coca-Cola HBC upgraded to buy at Goldman Dixons Carphone raised to overweight at Morgan Stanley Next upgraded to equal-weight at Morgan Stanley National Express upgraded to buy at Liberum ABB downgraded to sell at Berenberg Micro Focus cut to neutral at Goldman Panalpina downgraded to hold at Baader Helvea Tod’s downgraded to underperform at Jefferies IGTV featured video Information has been prepared by IG, a trading name of IG Markets Limited. In addition to the disclaimer below, the material on this page does not contain a record of our trading prices, or an offer of, or solicitation for, a transaction in any financial instrument. IG accepts no responsibility for any use that may be made of these comments and for any consequences that result. No representation or warranty is given as to the accuracy or completeness of this information. Consequently any person acting on it does so entirely at their own risk. Any research provided does not have regard to the specific investment objectives, financial situation and needs of any specific person who may receive it. It has not been prepared in accordance with legal requirements designed to promote the independence of investment research and as such is considered to be a marketing communication. Although we are not specifically constrained from dealing ahead of our recommendations we do not seek to take advantage of them before they are provided to our clients. See full non-independent research disclaimer and quarterly summary. The IMF has cut its forecasts for growth as it says the global economic expansion is losing its momentum, projecting a 3.5% growth rate worldwide for 2019, 0.2 percentage points less than its forecasts in October. This comes just hours after China announced its slowest economic growth in almost three decades. Meanwhile, over at the World Economic Forum in Davos, there are ongoing talks over an array of current or potential crises, from the US-China trade war to the uncertainty surrounding Brexit. US markets were closed on Monday for the Martin Luther King holiday. In Asia, the Hang Seng was down more than 1%, with the CSI 300 down 0.9% and Japan's Nikkei slid 0.7%. Australia's ASX 200 was also down 0.5%, as the share price of BHP Billiton faltered 1.2% after the world's largest miner reported iron ore production fell in the fourth quarter of 2018. In FX, the pound was 0.1% weaker at $1.2872 after Theresa May laid out her plan B and refused to rule out a no-deal Brexit. Demand for the safe-haven yen maintains its stead as the Japanese currency stands at $109.41. Worries over global growth pulls oil prices lower as Brent was down 0.8% to $62.24 and US Crude was down 0.7% at $53.43 a barrel. Asian overnight: Asian markets have traded in the red overnight as fears over the global growth picture continue to dent investor confidence. Yesterday’s Chinese GDP figure for Q4 came in at 6.4%; the lowest since 2009. Meanwhile, the IMF revised down their global growth forecast thanks to fears over both the Chinese slowdown and Brexit. Hopes of improved relations between the US and China were dealt a blow, with the US planning to proceed with the extradition proceed to take Huawei executive Meng Wanzou from Canada to the US. Data-wise, Japanese inflation once again floundered, with the BoJ core CPI falling from 0.5% to 0.4%. A busy day ahead sees the UK remain in the spotlight, with the latest jobs report accompanied by the public sector net borrowing figure. UK, US and Europe: A busy day ahead sees the UK remain in the spotlight, with the latest jobs report accompanied by the public sector net borrowing figure. Eurozone interests will be particularly concerned with the latest ZEW economic sentiment, where the German figure is expected to fall once more. The US markets are back after yesterday’s MLK national holiday, yet with just existing home sales to watch out for, the calendar looks thin from that side of the Atlantic. South Africa: Global equity markets are trading lower this morning after the International Monetary Fund (IMF) lowered is forecast for global economic growth. US Index Futures trade around 1% lower this morning and the Shanghai Composite Index roughly 1.3% lower. Precious metals are trading lower this morning while base metal prices are mixed in trade today. Oil has temporarily halted its short term gains with Brent trading marginally softer in early trade. The rand has subsequently weakened along with its emerging market currency peers. Tencent HOldings is down 2.4% in Aisa, suggestive of a similar start for Naspers. BHP is down 1.3% in Australia following the release of its H1 operating update. Economic calendar - key events and forecast (times in GMT) Source: Daily FX Economic Calendar 9.30am – UK employment data: December claimant count to rise by 10,000, from 21,900 a month earlier, while the November unemployment rate to hold at 4.1%, and average earnings for November to rise by 3% (inc bonus) from 3.3% a month earlier. Market to watch: GBP crosses 10am – German ZEW index (January): economic sentiment index to fall to -21 from -17.5. Market to watch: EUR crosses 3pm – US existing home sales (December): expected to fall 0.8% MoM from a 1.9% gain in November. Market to watch: USD crosses 11.50pm – Japan trade balance (December): forecast to see the deficit narrow to Y600 billion from Y737 billion. Market to watch: JPY crosses Corporate News, Upgrades and Downgrades Google has been fined €50m by France, under the EU's new data and privacy laws. Dixons Carphone saw a 1% rise in group like-for-like revenue for the ten weeks to 5 January, but left guidance for overall pre-tax profit unchanged at £300 million. easyJet said it had a good quarter with revenue in line with forecasts. Total revenue rose 13.7% to £1.29 billion, while passenger numbers were up 15.1% to 21.6 million. However, the airline announced a £15m loss from the drone activity at Gatwick Airport over the Christmas holiday period. Sirius Minerals has agreed to revive the terms of a $3 billion funding round for its Yorkshire potash project. Progress has been made on securing commitments from lenders but the plan has been altered to modify credit risk. Ricardo expects to report a small rise in first-half revenue, which remains broadly in line with forecasts. Order intake was ‘good’ at just over £200 million. Air France-KLM raised to overweight at Morgan Stanley Babcock upgraded to add at Peel Hunt Lufthansa upgraded to overweight at Morgan Stanley Aggreko downgraded to reduce at Peel Hunt BASF downgraded to neutral at MainFirst Shell cut to underweight at Morgan Stanley IAG downgraded to underweight at Morgan Stanley IGTV featured video Information has been prepared by IG, a trading name of IG Markets Limited. In addition to the disclaimer below, the material on this page does not contain a record of our trading prices, or an offer of, or solicitation for, a transaction in any financial instrument. IG accepts no responsibility for any use that may be made of these comments and for any consequences that result. No representation or warranty is given as to the accuracy or completeness of this information. Consequently any person acting on it does so entirely at their own risk. Any research provided does not have regard to the specific investment objectives, financial situation and needs of any specific person who may receive it. It has not been prepared in accordance with legal requirements designed to promote the independence of investment research and as such is considered to be a marketing communication. Although we are not specifically constrained from dealing ahead of our recommendations we do not seek to take advantage of them before they are provided to our clients. See full non-independent research disclaimer and quarterly summary. Asian stocks fell as China's export data indicated a shock contraction, declining by 7.6% since July 2016. This points to deepening cracks in the world's second largest economy and increased fears of a significant slowdown in global growth and businesses. The CSI 300 was down 0.8%, falling from a 3 week high reached on Friday. The Hang Seng slipped 1.4% as both the financial and technology sectors took a hit. US equities ended Friday with marginal losses, however the S&P 500 maintained a weekly gain of 2.5%. The US Dollar Index was 0.1% lower after reaching a 3 month low last week, whilst the safe-haven Yen was 0.4% stronger at 108.09 to the dollar. The Australian dollar, sometimes viewed as a proxy for China's economic outlook, was down 0.4%. Oil prices also took a hit following disappointing China trade figures - one of the largest global importers of oil. Both Brent Crude and WTI was down 1.1%, at $59.83 and $51.03 a barrel respectively. Gold edged 0.3% higher to reach $1,290. With tomorrow’s UK parliamentary Brexit vote looming large, there is also likely to be some positioning ahead of that momentous occasion. Asian overnight: A bearish overnight session saw losses across China, Hong Kong and Australia, while the Japanese markets were closed to observe a bank holiday. Today is all about the Chinese trade data, with both imports and exports deteriorating sharply in December. However, with imports falling -7.6%, while exports hit -4.4%, the overall balance actually shifted further into surplus despite the disappointing figures. Interestingly, despite the imposition of tariffs on Chinese goods, the Chinese surplus has grown significantly, hitting the highest level since records began in 2006. UK, US and Europe: Theresa May is set to warn Eurosceptic MPs today that Brexit could be blocked by parliament if they fail to give their backing in tomorrow's historic "meaningful vote" on the withdrawal agreement. The agreement is strongly opposed by certain Conservative MPs due to the plan for a backstop to avoid a hard Irish border that involves the UK being in a customs union with the EU. Looking ahead, keep an eye out for eurozone industrial production in the morning, with precious few notable releases other than that. With tomorrow’s UK parliamentary Brexit vote looming large, there is also likely to be some positioning ahead of that momentous occasion. South Africa: Global markets are trading mostly weaker this morning with US Index futures down 0.81% and the Shanghai Composite down 0.78% today so far. Markets are trading cautiously ahead of US bank earnings releases this week as well as the all important parlimentary Brexit vote on Wednesday. Gold is trading 0.4% higher this morning while brent crude is 1.1% lower today. The rand has managed to maintain some short term strength having stabilised below the R14/$ mark. Tencent Holdings is down 2.9% in Asia, suggestive of a similar star for major holding company Naspers. BHP Billiton is down 0.25% in Australia, suggestive of a flat to softer start for local diversified resource counters. Economic calendar - key events and forecast (times in GMT) Source: Daily FX Economic Calendar 1.30pm – US trade balance (November): deficit to narrow to $54 billion. Market to watch: USD crosses 3pm – US new home sales (November): forecast to rise 2.9% MoM from an 8.9% fall a month earlier. Markets to watch: US indices, USD crosses Corporate News, Upgrades and Downgrades PageGroup expects annual performance to be in line with forecasts, as gross profit for the final three months of the year rose 15.4%, allowing gross profit for the full-year to rise 15.9% to £815 million. Restore said that it forecasts annual results to be in line with expectations, as strong trading in the records management division offsets weakness in the shredding unit. JD Sports expects profits to be at the upper end of forecasts, as weak growth in the UK is offset by a better performance by its international division. Like-for-like sales rose 5% for the cumulative 48 week period to 5 January. Michelmersh Brick said that it expects annual underlying revenue and profit to meet market expectations. Year-end debt will also be below forecasts due to strong cash generation. Brooks Macdonald upgraded to buy at Shore Capital Safilo upgraded to neutral at Mediobanca SpA Engie upgraded to buy at Berenberg Mowi upgraded to buy at Fearnley 3i Infra downgraded to hold at Jefferies Countryside cut to underweight at JPMorgan Heineken cut to underweight at Morgan Stanley Next downgraded to underperform at Credit Suisse IGTV featured video Information has been prepared by IG, a trading name of IG Markets Limited. In addition to the disclaimer below, the material on this page does not contain a record of our trading prices, or an offer of, or solicitation for, a transaction in any financial instrument. IG accepts no responsibility for any use that may be made of these comments and for any consequences that result. No representation or warranty is given as to the accuracy or completeness of this information. Consequently any person acting on it does so entirely at their own risk. Any research provided does not have regard to the specific investment objectives, financial situation and needs of any specific person who may receive it. It has not been prepared in accordance with legal requirements designed to promote the independence of investment research and as such is considered to be a marketing communication. Although we are not specifically constrained from dealing ahead of our recommendations we do not seek to take advantage of them before they are provided to our clients. See full non-independent research disclaimer and quarterly summary. US Index Futures fell and Asian shares toppled on Thursday after a revenue warning from Apple on its Q1 results adds to fears of slowing global growth. Dow futures point to a decline of over 400 points at the open. The Dow is currently trading at 23015, the S&P at 2476 and the Nasdaq at 6211. MSCI's Index of Asia-Pacific shares excluding Japan dropped 0.6%, whilst the Nikkei futures fell 2.2%. The news from Apple sparked a 'flash crash' in the currency markets, sending the safer assets such as the Japanese Yen soaring against most other currencies, rising by as much as 3.7% to 104.87 against the USD. In contrast, the AUD toppled 3.5% to 0.6741 against the USD, its lowest level in a decade. US crude rose 2.5% to settle at $46.54 yesterday, on the back of a fall in Saudi oil exports. Gold remains a safe haven for investors as it continues its rise amid a volatile global market, currently trading at $1290.01 an ounce. UK, US and Europe: Apple has shocked investors with a rare revenue warning on its Q1 results, wiping 8 percent from its share price in after-market trading. The news has stoked investor fears over the outlook for the global economy as trade tensions and weak company earnings hit the equities market hard in the latter half of 2018. The warning sparked a flash sell-off among most major currencies such as the US and the Australian dollar, resulting in a rise in the Japanese Yen as the currency is seen as a safe haven in times of uncertainty. Apple attributes the warning to disappointing iPhone and Apple Watch sales in China, blaming trade tensions and the country's recent economic weakness for the declining demand. Looking ahead, we have the ADP Employment Change figure release at 1:15pm GMT and is expected to be a similar figure with last month, with the release of US Non-farm Payrolls tomorrow. The US manufacturing PMI is also set to come at 3pm GMT, forecast to be lower than the previous figure, indicating a possible industry contraction. Economic calendar - key events and forecast (times in GMT) Source: Daily FX Economic Calendar Corporate News, Upgrades and Downgrades Tesla misses Wall Street estimates, delivering 90,700 vehicles in its fourth quarter last year. The car-maker is also cutting prices on all its models by $2000 to help offset a reduction in federal tax credits for electric car drivers. Apple shares drop 8% after its warning on Q1 results as the sales for its flagship product, the iPhone, disappoint. Next's in-store sales fell 7% in its last quarter of 2018, however online sales were up by 14.9%. Blake Nordstrom, co-president of the American chain of luxury department stores, Nordstrom, has died at the age of 58 after battle with cancer. 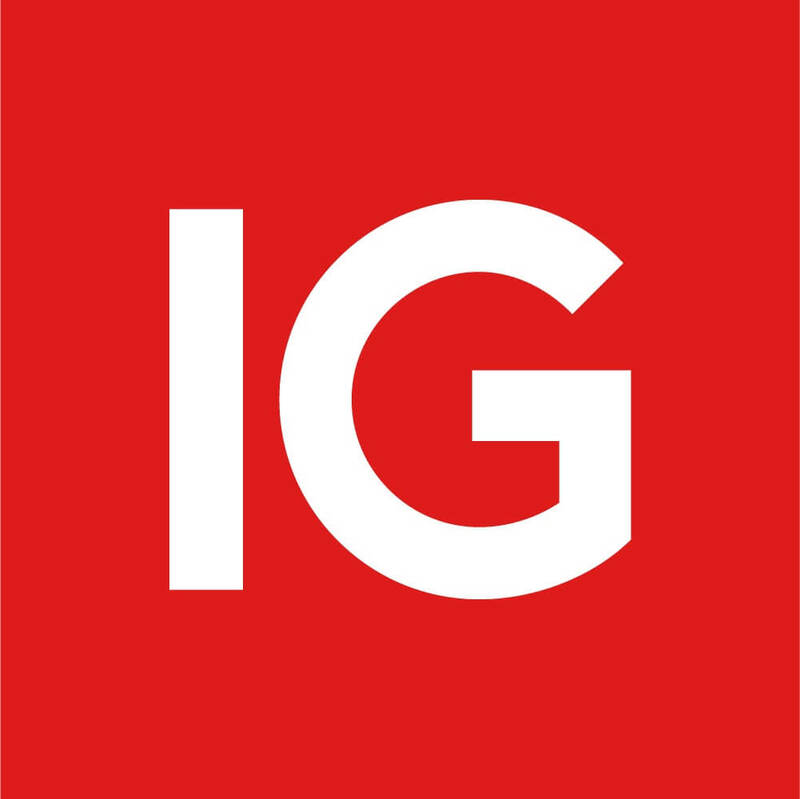 IGTV featured video Information has been prepared by IG, a trading name of IG Markets Limited. In addition to the disclaimer below, the material on this page does not contain a record of our trading prices, or an offer of, or solicitation for, a transaction in any financial instrument. IG accepts no responsibility for any use that may be made of these comments and for any consequences that result. No representation or warranty is given as to the accuracy or completeness of this information. Consequently any person acting on it does so entirely at their own risk. Any research provided does not have regard to the specific investment objectives, financial situation and needs of any specific person who may receive it. It has not been prepared in accordance with legal requirements designed to promote the independence of investment research and as such is considered to be a marketing communication. Although we are not specifically constrained from dealing ahead of our recommendations we do not seek to take advantage of them before they are provided to our clients. See full non-independent research disclaimer and quarterly summary. The FOMC will begin its 2 day meeting today, with the markets expecting a 25 basis points interest rate increase upon its announcement on Wednesday, which would make this its fourth hike this year. Homebuilder sentiment in the US declined in December to its lowest point in over 3 years, and could be an early indication of an economic softening. Theresa May has announced that the "meaningful vote" for her Brexit Withdrawal Agreement is due to be held in the third week of January, after it was postponed last week amid fears of a defeat. US stocks closed at the lowest level in over 14 months yesterday, with the S&P dropping 2% to 2545.94 and the Dow diving 500 points to 23592.98. This comes as investors fear for the health of the global economy ahead of the Federal Reserve’s final policy meeting of the year. Asia-Pacific stocks also went into retreat on Tuesday as the Hang Seng was down 0.9% in afternoon trading, whilst the CSI 300 and the Topix shed 1.2% and 1.7%, respectively. The Dollar lost 0.2% against the Japanese Yen, falling to 112.53 yen. The Euro was mostly steady at $1.1342, maintaining the 0.4% gain it made on Monday. Oil prices extended losses on the back of signs of oversupply in the United States: US Crude drops 2.6% to a 14-month low, settling at $49.88. Bitcoin has recovered from its sharp fall at the beginning of the month, rising more than 10% yesterday as the digital currency benefited from a strong support near the $3,000 level. Asian overnight: A sea of red has been evident in overnight markets, as sentiment continues to sour ahead of tomorrow's FOMC meeting. Particularly notable losses in Japan came amid a strengthening yen in play through the beginning of the week. In China, a speech from President Xi Jinping offered up little in the way of new policies, instead spending much of the speech extolling the virtues of the communist party. Meanwhile, the RBA minutes signalled that the next rate move is likely to be up rather than down, although this was largely priced in given the subsequent fall in AUDUSD. UK, US and Europe: Looking ahead, the bearish sentiment evident in Europe could easily continue today given the overnight losses, while the major release of the session comes from the German Ifo business climate figure. In the afternoon keep an eye out for the latest building permits and housing starts figures. Economic calendar - key events and forecast (times in GMT) Source: Daily FX Economic Calendar 9am – German IFO (December): business climate index to rise to 102.7 from 102. Markets to watch: EUR crosses 1.30pm – US housing starts & building permits (November): watch for a rebound from last month’s decline in activity, as the US housing market continues to worry investors. Markets to watch: US indices, USD crosses Corporate News, Upgrades and Downgrades ASOS shares plummeted over 40% yesterday on the back of a profit warning, adding to fears of a struggling retail sector and triggering a sell-off in fashion retail stocks across Europe. Huawei says it has secured over 25 commercial contracts for its 5G technology. Petrofac said it was trading in line with forecasts, with $5 billion of orders won in the year so far. Wood Group has won a $66 million contract to supply control technologies to Sellafield nuclear plant. Malaysia have filed criminal charges against Goldman Sachs and 2 bankers over they're alleged role in the 1MDB scandal. Cineworld upgraded to top pick at RBC JCDecaux raised to equal-weight at Morgan Stanley Zalando upgraded to buy at DZ Bank Remy Cointreau raised to market perform at Bernstein Asos downgraded to hold at Santander Coface downgraded to hold at Kepler Cheuvreux Nemetschek downgraded to reduce at Kepler Cheuvreux Pfeiffer Vacuum downgraded to hold at HSBC IGTV featured video Information has been prepared by IG, a trading name of IG Markets Limited. In addition to the disclaimer below, the material on this page does not contain a record of our trading prices, or an offer of, or solicitation for, a transaction in any financial instrument. IG accepts no responsibility for any use that may be made of these comments and for any consequences that result. No representation or warranty is given as to the accuracy or completeness of this information. Consequently any person acting on it does so entirely at their own risk. Any research provided does not have regard to the specific investment objectives, financial situation and needs of any specific person who may receive it. It has not been prepared in accordance with legal requirements designed to promote the independence of investment research and as such is considered to be a marketing communication. Although we are not specifically constrained from dealing ahead of our recommendations we do not seek to take advantage of them before they are provided to our clients. See full non-independent research disclaimer and quarterly summary.